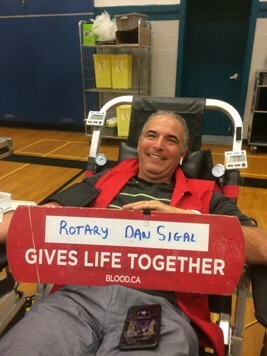 Kudos to everyone: we successfully completed three events in the past week! 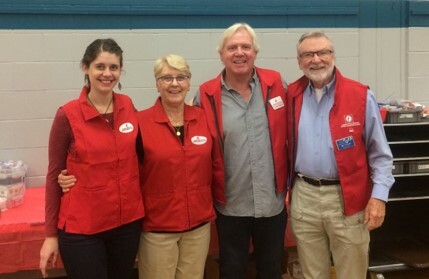 On Saturday, Team ‘Wild Goose Chase’, comprised of Monika, Nathan, Tom, Daphne and Dave, took part in the first ever Rotary Fox Hunt, at Stuart Park, to raise funds for JoeAnna’s House. The scavenger hunt took place over a 90-minute period and tested our agility and ingenuity to solve several physical challenges and puzzles. Sadly, our team did not finish among the top three teams. However, we did have a lot of fun and won a set of gold Rotary ball caps as a consolation prize for being the first team to register! 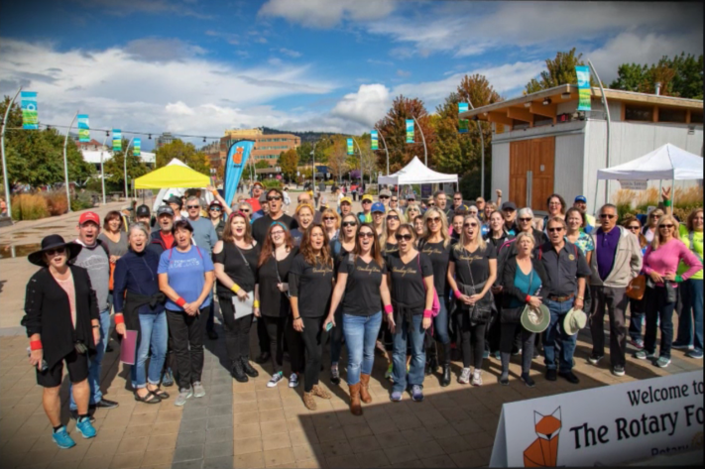 Find a magnifying glass and you may see us in the back row of the group photo above. 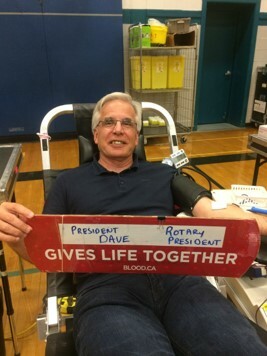 And to cap things off, the event produced 83 blood donations, exceeding the target set by Canadian Blood Services. 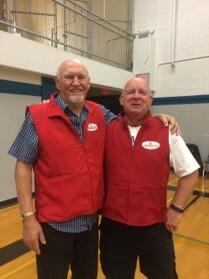 Thanks to Tom and Jim for their efforts to promote the event and recruit volunteers. 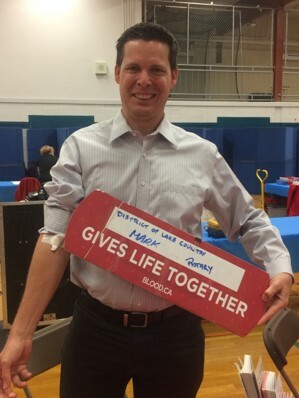 We look forward to helping with the next Lake Country blood donor clinic on December 19. 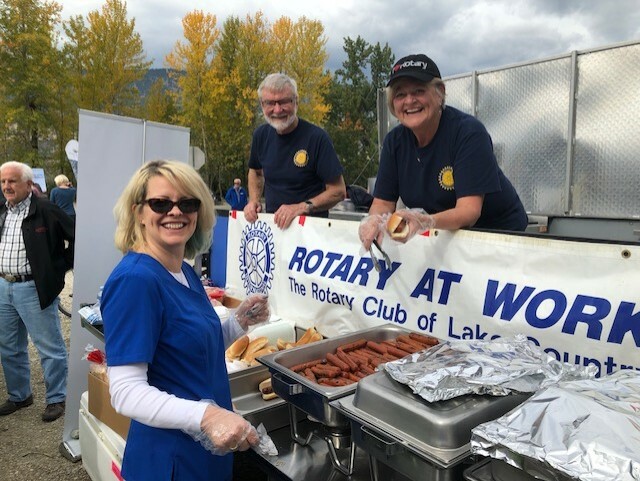 The third event in the triple-header saw us cooking hot dogs at the Okanagan Rail Trail celebration event, on Thursday, at the Oyama Boat Launch. 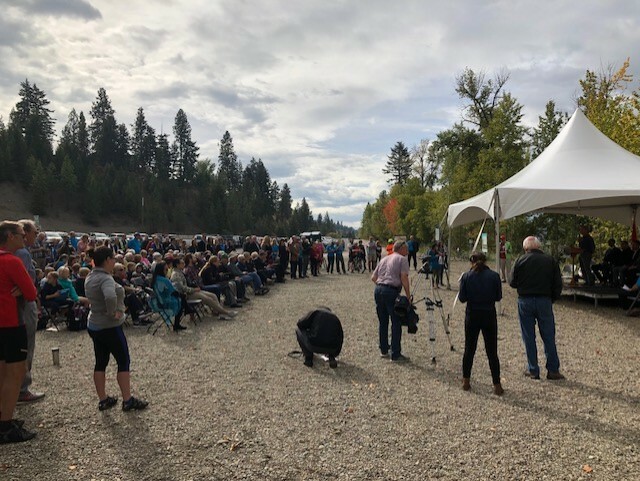 We are proud that the District of Lake Country asked us to be part of this celebration to open this truly remarkable trail which connects communities in our valley in the most beautiful setting imaginable.